I have been exploring Machine Learning for about a year but only recently while being on vacation with laptop had a chance to catch up with my Stanford ML class. In my experience unlike any other new things that I learned, ML isn't something one can pick up by watching a couple of Pluralsight videos or reading a book. Machine Learning however truly opens door for solving new class of problems which wouldn't be possible or would be very hard to tackle with traditional algorithmic approaches. 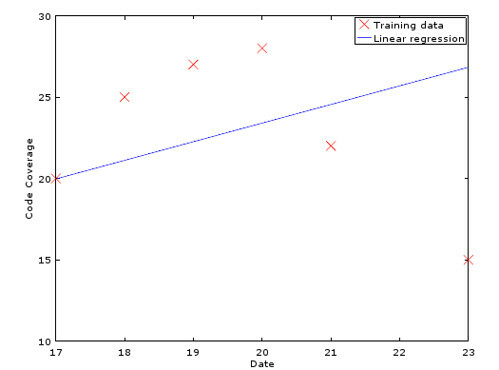 There are two ways that I know of to come up with regression line. The first one is simply compute it based on given point coordinates. Khan Academy has very fun series of videos to watch on that subject. Knowing the line parameters (m and b in y = mx + b) gives us trend which is "m" and also we can compute any other points based on the given "x". So pretty simply, no hairy math. 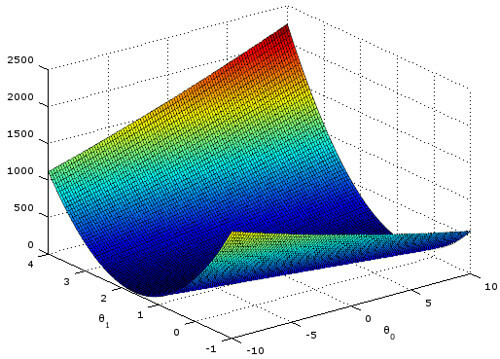 This finally takes us to Gradient Descent algorithm which tries to minimize the given cost function. 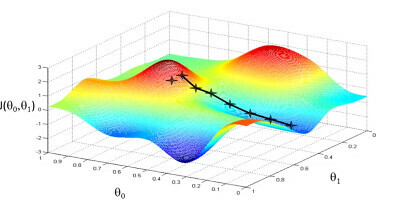 With each step of Gradient Descent parameters theta come closer to the optimal values that will achive the lowest cost of J. To illustrate by picture from Andrew Ng class, we look around and try to go down from where we stand. 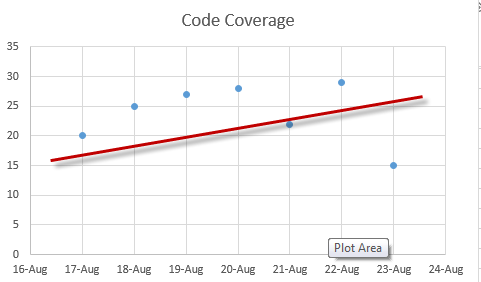 Once we have minimum of the cost function, we grab parameters theta which will be our regression line. In order to see how it actually works in practice I adapted a bit of Octave (that's high-level language for numerical computations, similar to Mathlab) code from ML lectures. Here's the source. You can see that these aren't the only possible values, but they close. Isn't it a cool picture?